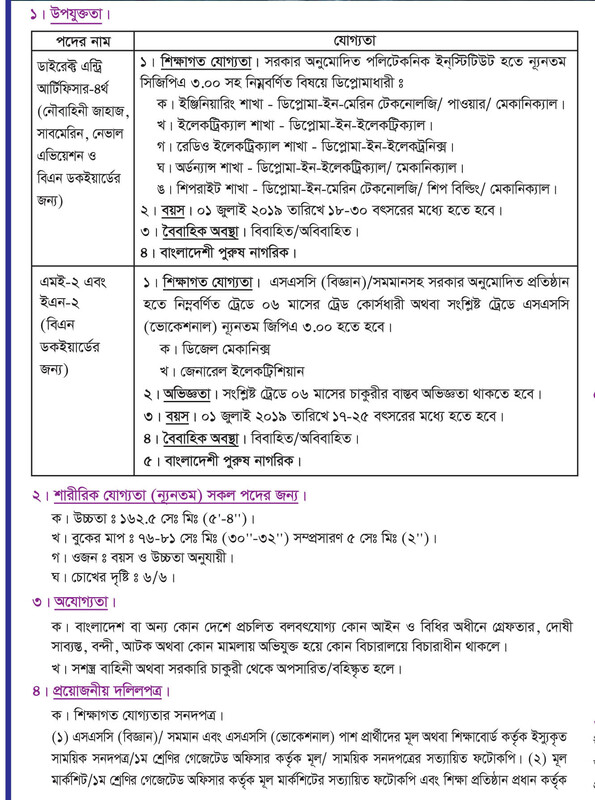 Bangladesh navy job circular 2019 has been published. 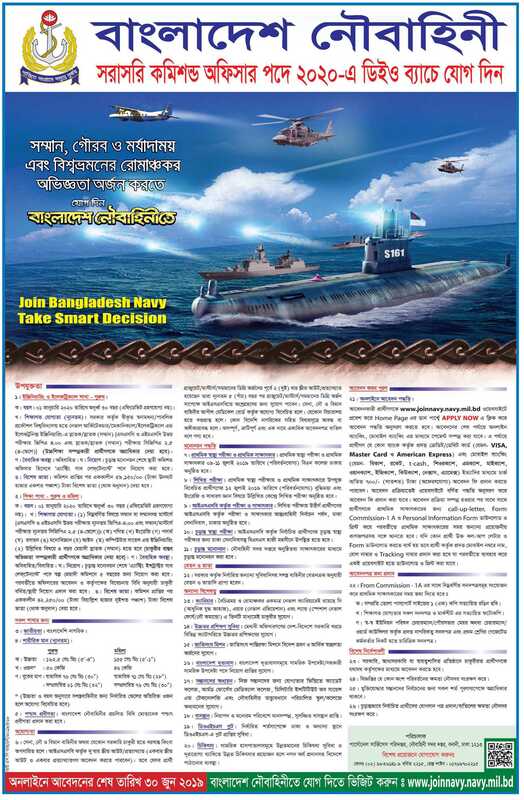 Bangladesh Navy is the most powerful and valuable institute in our country. 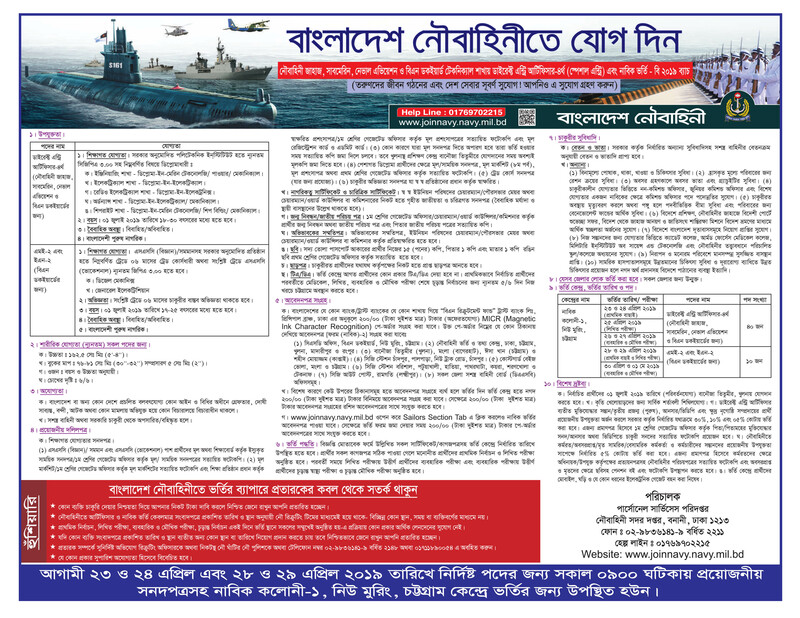 Bangladesh navy job circular 2019 related all information has been given bellow by image file and you can download this image file with the original circular. 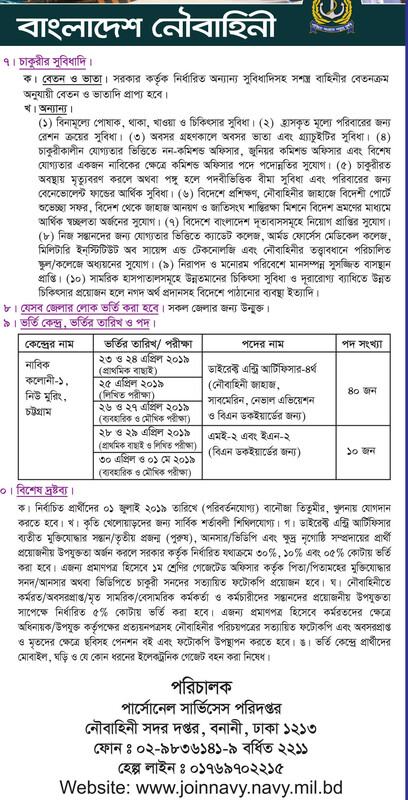 Otherwise, you can get Bangladesh navy job circular 2019 from my website that is jobs.lekhaporabd.com. 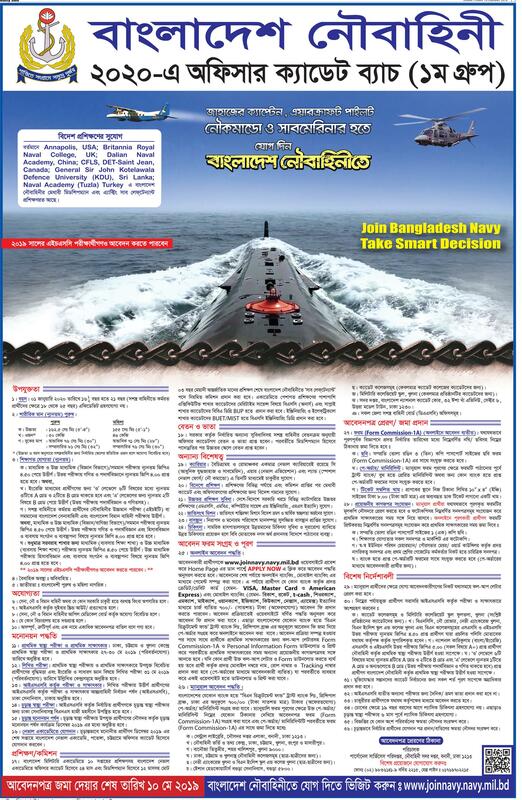 Bangladesh navy was established during by the liberation war. If you want to apply for this job, you can submit your application within deadline. march maser 24 tarik a navy civil post a office sohaok pode xm hoyesa tar result kobe dibe but addmit card a or ullekh kore diyecilo j April maser last soptahe result dibe.. but tader web page a dhuke paoya jassa na..plz ans me? 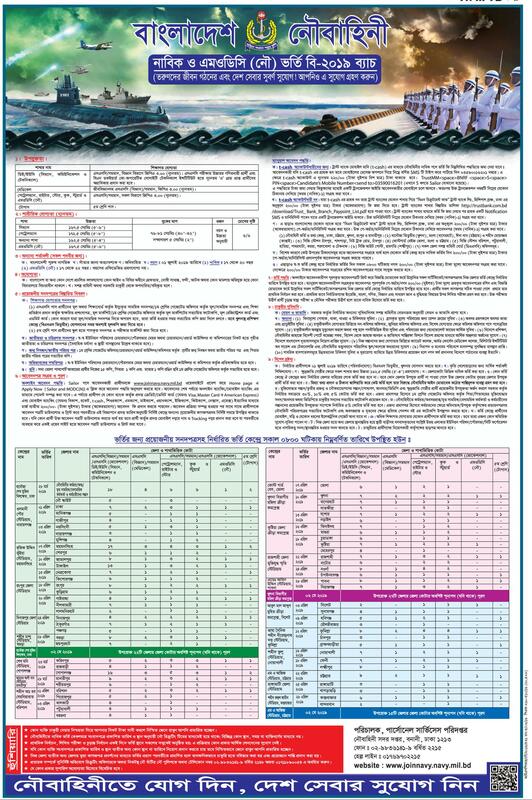 ami ssc te 3.67 and hscte 3.25 peyese thn ami ki nevy te apply korte parbo? স্যার রেপ্ল্য দেয়ার অনুরুধ করা হলো?